Australian cricket team captain Michael Clarke get Double Century in India vs Australia 4th Test match at Adelaide Oval ground. 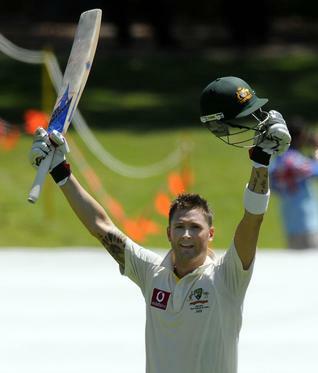 Michael Clarke scored 210 runs form 275 balls with the help of 26 fours and 1 six. He also scored Triple century in the series. This is his second double century in test matches. After the stylish performance of the Australian captain, Australia Scored huge score 604/7 declare.